When doing most of New Zealand's Great Walks, the Department of Conservation operates huts about a day's walk from each other for hikers to stay overnight while on the trail. The huts have basic bunk beds, drinkable running water, flush toilets, gas cooking stoves, and a ranger on duty during the spring and summer. What they don't tell you is that the huts are located in ridiculously scenic locations. 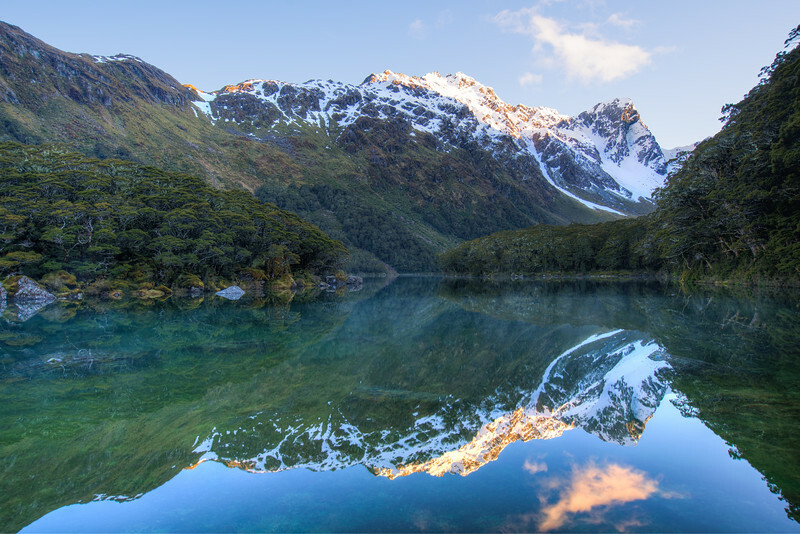 This was the view from just off the porch of Lake Mackenzie hut on the morning of our second day on Routeburn Track. The quality of the lake water, which is also the source of the hut's drinking water, is as pristine and clear as it gets. And with only 5 other hikers at the hut, we had this scene all to ourselves.